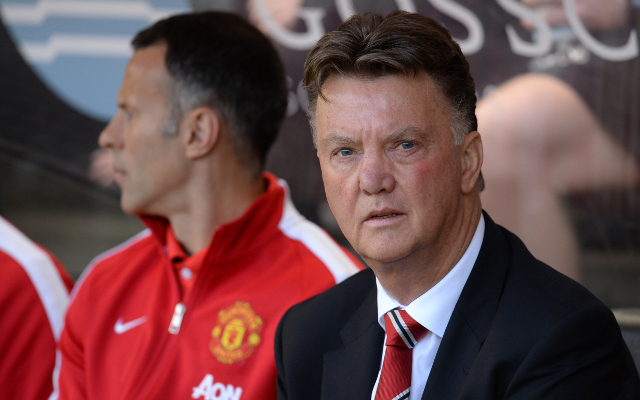 More big spending on the horizon as Van Gaal hints at “surprise” signing. Manchester United manager Louis van Gaal has hinted at a “surprise” signing before the end of the summer transfer window, with the Daily Mirror suggesting the club could be back in for Real Madrid star Gareth Bale. The Red Devils are possibly facing the depature of key winger Angel Di Maria this pre-season, with the unsettled Argentine wanted by Paris Saint-Germain and a transfer request still a possibility, according to the Daily Mail. Bale would be a terrific signing out wide if Di Maria were to leave, though the Mirror states he could end up costing a whopping £95m to prize away from the Bernabeu, with the Welshman already commanding huge transfer fees in the past after his sensational form at previous club Tottenham Hotspur. The Mirror adds that United are looking at another La Liga star in Valencia defender Nicolas Otamendi, who has been in superb form in recent times to attract interest in the transfer market this summer. According to Sky Sports, the Argentine international has a release clause of 50m euros, or £34.7m, which would see United spend £129.7m on the two players if they were to step up their interest in the pair. United have already splashed the cash this summer by bringing in the likes of Memphis Depay, Matteo Darmian, Bastian Schweinsteiger and Morgan Schneiderlin, but it seems they will keep on looking to strengthen by raiding the Spanish top flight for its best talent. If the Mail’s report of Di Maria leaving is accurate, then his departure will surely help the club fund these big moves, while Robin van Persie has already been sold this summer, and the Mirror adds that Rafael and Jonny Evans are two more who are likely to be on their way out of Old Trafford.